If there’s one thing we crave from our favorite fashion glossies, it’s glamour, and Vogue Russia gives us just that for March 2018. The magazine won us over last month with a bold 80s-inspired Grace Hartzel cover and now enlists forum favorite Luna Bijl as its latest cover girl. Fresh from the covers of Vogue Japan and Vogue Netherlands, Luna delivers what may be her strongest magazine cover yet, looking fierce and fabulous for photographic duo Luigi & Iango and stylist Patrick Mackie (no doubt shot right after the Vogue Japan shoot). Members of our forums were quick to share their love for the cover. “Finally, some high voltage glamour from Vogue Russia! Trust Luna to be the one coming through with it,” commented Benn98 the moment the cover struck. “Luna is serving glamour,” wrote Cute. “The first cover in a very very very very long time where I see an image worthy of its name. This is glamorous. The makeup is on point. The hair is lovely. I live for the energy. It feels alive,” said MON. “WOWOWOW talk about a striking cover!” proclaimed forum member McKinney. 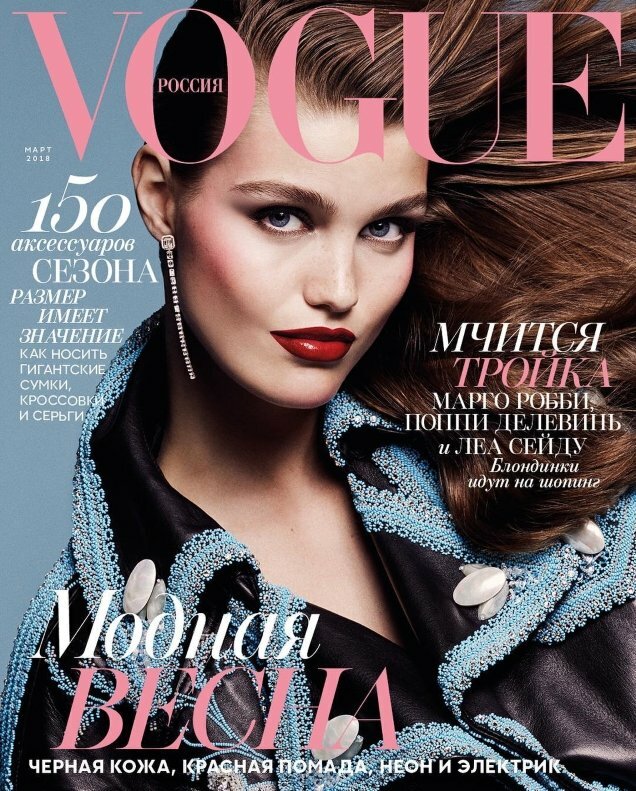 “She looks gorgeous, the best Vogue Russia cover in a long time! You can’t go wrong with Luna,” added zacatecas570. Luna’s accompanying cover story is a total must-see. Check it out and join the conversation here.